Dropping cable and streaming doesn't have to mean abandoning all TV — especially since antennas can cost as little as $10. Additional contributions by Julie Ramhold. Cable television costs can amount to a big chunk of your monthly budget, and that's made cutting out cable and switching to streaming increasingly popular. But did you know you can get most major broadcast networks for free — and in HD — by simply plugging in a digital TV antenna? Another benefit? They're cheap. You can find a basic indoor antenna for around $10, which costs less than a month of many streaming services. So if you like watching big network shows but are tired of footing your cable bill, why not give a digital TV antenna a try? What Can You Watch With an Antenna? Your reception will vary depending on where you're located in relation to the nearest broadcast tower. However, anyone in an urban or suburban area can expect to pick up the major networks: ABC, CBS, CW, FOX, NBC, and PBS. Some viewers can pick up more antenna TV channels — from 25 to 40 and up — if they're close enough to the towers. Since 2009, TV stations have been required to broadcast in digital format, which means you can even get some local stations in 1080i with the right setup. Anyone in an urban or suburban area can expect to pick up the major networks: ABC, CBS, CW, FOX, NBC, and PBS. So what is 1080i? The "i" in 1080i resolution stands for "interlaced" scanning, whereas 1080p is "progressive" scanning. (Both display 1920x1080 resolution.) Displays with 1080i video could look fuzzy, especially for action scenes. Video that's 1080p provides a sharper image, which is preferred in shows and movies with a lot of movement. For local broadcasts, though, 1080i is generally fine. To find out exactly what TV stations are in your area, head to AntennaWeb. Enter your address or ZIP code and click "Submit," which will bring up a map showing the nearest TV broadcast towers. Look at the the right-hand side of the screen, plus the list of stations, and check the distance from each station. If a station's within 25 miles, you can typically pick it up using an easy-to-install indoor antenna. However, environmental factors can play a major role in the reception you'll get. Objects between you and the tower, like buildings or hills, can impact your reception. Even the type of building you live in affects your reception, as metal and concrete can block broadcast signals. What About the FCC Repack? When deciding what antenna to buy, it's good to be aware if any channels in your area are part of the FCC Repack. Basically, television stations are being required to move frequencies in order to make room for more wireless services. Because of this move, people at certain addresses will experience select channels changing or even going away entirely. Antennas are widely available — you can find dozens of options at retailers such as Amazon, Home Depot, and Best Buy. But buying any type of technology can present you with a confusing array of technical jargon, and antennas are no different. Here's what you need to know about the different types and features. Modern indoor antennas are typically easy to install and designed to fit unobtrusively into your entertainment center. Installation is often as simple as placing the antenna in your room — there are even wafer-thin antennas that simply stick to a wall — and plugging it into your TV. Though these have the shortest range, they're the easiest to set up, so they're probably what you want. Though indoor antennas have the shortest range, they're the easiest to set up, so they're probably what you want. Outdoor TV antennas are larger and more powerful than indoor antennas, and can be placed outside your home or in an attic. The best outdoor TV antenna will probably be one that's amplified to ensure you receive long-range signals. Additionally, you'll need a bit of DIY know-how to mount one, so be sure to check the installation instructions before you buy. Note that the Consumer Technology Association created a color-coded system for labeling outdoor antennas according to type. It helps to know your distance from broadcasting towers before purchasing an antenna. You might find that a small multi-directional will pick up the stations you're interested in and be all you need. On the other hand, you might find you require a more substantial model. Directional antennas need to be pointed in a particular direction to get reception. They can be a bit fussy, since you have to know the direction of the broadcast tower you want to pick up, and if the towers aren't all in the same direction, you may need to adjust the antenna for each station you want to reach. However, directional antennas have better range than omnidirectional antennas, so they can be a good solution for rural homes. Omnidirectional antennas can pick up signals from any direction, making them well-suited to getting reception on multiple stations. These should be fine for most urban and suburban homes. Antennas can work fine without amplification, but this feature will greatly increase the range. Amplification requires a power source, though, which can complicate installation — you'll have to set it up close enough to a power outlet. If you need an antenna with more range than an indoor unit, but don't want to deal with installing one outside, look for an amplified indoor antenna instead. SEE ALSO: Do You Need a Smart TV? On the other hand, non-amplified antennas won't require an additional power source. But they also won't receive longer-range signals as well. In general, if you're in a rural area, it's better to opt for an amplified antenna. Installation is usually a simple matter of plugging in the antenna and finding a good spot, but you'll still want to read the manual to make sure you aren't missing anything. The higher you can mount your antenna, the better. Placing it on or in front of a window can improve reception. Make sure it's on an exterior wall or window — an interior wall only adds obstacles between the antenna and the broadcast tower. Try to choose a wall or window facing the broadcast tower you want to pick up, even for omnidirectional antennas. If you go through these steps and find your reception doesn't seem to improve anywhere, you could look into using a TV antenna booster. Some models even come with these boosters included. However, if you move your antenna around and don't have any reception problems, you may be able to mount it somewhere unobtrusive, like behind the TV. How Much Does a Digital Antenna Cost? Prices will obviously vary based on the features noted above. However, as Tom's Guide points out, non-amplified indoor antennas typically fall somewhere between $20 and $40. Options costing less than $20 are fine for some situations, as well. Non-amplified indoor antennas typically cost between $20 and $40. Amplified antennas will be more expensive, between roughly $30 and $100. Some outdoor antennas can be well over $100, but there are also more affordable options around $50. Be aware that if you have to add on accessories, this can push your startup cost higher. If you have an older television, you may need a digital converter box to pick up HD broadcasts. Different antennas will come with different lengths of cable to plug into your TV. Depending on where your antenna and your TV are placed, you may need a longer cable. If you can't deal with scheduling your life around live TV, you'll want a DVR to record shows. Some DVRs, like TiVo, have a separate subscription service to get TV listings and other features. Both the DVR and the subscription are an added cost, but it's often a lot cheaper than cable. 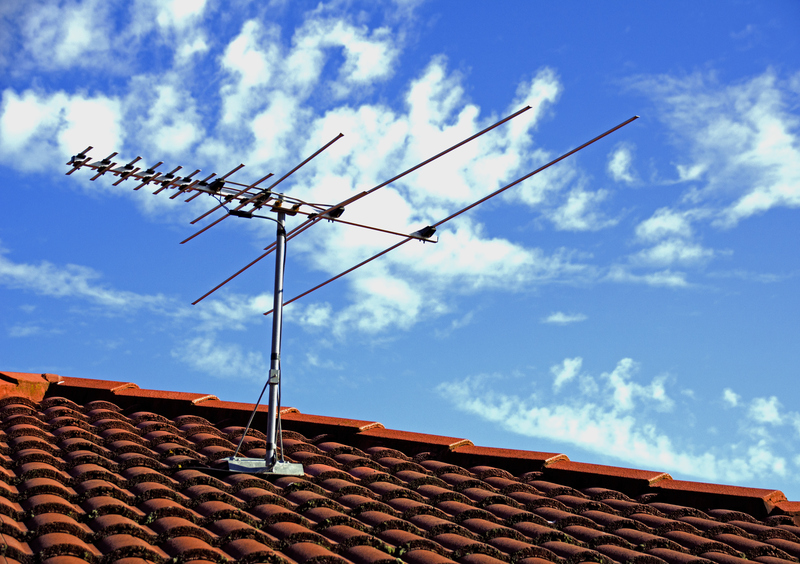 Still not sure if an antenna will work for your home? Our final piece of advice is to buy from a retailer with a good return or exchange policy. Readers, have you tried using a digital antenna? Share your own tips and tricks in the comments below! Originally working in IT, Elizabeth now writes on tech, gaming, and general consumer issues. Her articles have appeared in USA Today, Time, AOL, PriceGrabber, and more. 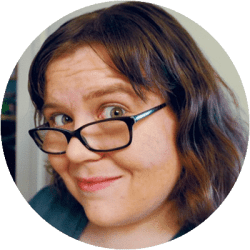 She has been one of DealNews' most regular contributors since 2013, researching everything from vacuums to renters insurance to help consumers. About 7 years ago I tried a digital antenna. It worked fairly well; as I was able to receive the 4 major network stations. Today, those network stations don't broadcast their REGULAR content. With few exceptions, I can only receive old series from the 70s - 90's and shopping channels. They seem to have found a way to screw cable cutters again. While streaming isn't a topic in this article, for those who want to got that route, confirm your internet only cost if you cut the cable cord, companies like Scumcast will jack up your price big time if you drop everything but Internet. BTW Kodi is NOT ILLEGAL! But some of the UNAPPROVED KODI apps can be used to access pirated material...but that's true with a number of devices. Kodi by itself is legal. Just because some of its add-ons are illegal doesn't make Kodi illegal. DVR and program schedule add-ons are legal. It's all about what the end-user wants to do with the software. Similarly, just because some hackers use Linux doesn't make Linux illegal for everyone to use. As for WMC, you say, "ain't no one got time for that"? That's untrue. The fact is very few people know of WMC capabilities. Fewer know of free VOIP services, free surveillance software, or even that computers can be configured as media servers. Go ask people on the streets and you'll see what I'm talking about. "Why does no one mention Windows Media Center or Kodi anymore? " As to WMC, I think you answered your question with your second paragraph. Ain't no one got time for that! Why does no one mention Windows Media Center or Kodi anymore? Why pay for a TiVo subscription when these DVR programs are available for free? WMC is still supported on Windows 7 and 8.1. Kodi is the most versatile media program and is always free. Get a cheap low power laptop, a cheap generic USB TV adapter, a 2TB hard drive that can store close to 100 hours of HD recordings, and a battery backup (UPS). Run windows off an SSD and leave the lid closed for minimum power usage. Connect your surveillance cameras, plug in a VOIP dongle, and you'll have an all-in-one system that serves as a media server, DVR, phone and surveillance. Access your media from anywhere via Chrome remote desktop. Try any antenna you have. I've used the old antenna on the roof, and rabbit ears from the local dollar store. Best results have been with amplified indoor antennas stuck on the window. But, look for amplified antennas with filtering circuits. Without filtering, the background noise is amplified, and my results are actually worse. If your TV or computer monitor doesn't have a tuner, or your old TV has an analog tuner, then get a digital converter box (about $50). Antenna connects to box--box connects to TV via HDMI or AV cables. Many boxes will let you plug an external hard drive into their USB port, to store shows, set up timed recording, and pause live TV! When covering any tech topic, we strive to use the language that shoppers are likely to encounter while shopping. Lots of antennas are marketed as "digital antennas," so we've used that term here. We've also provided a list of more accurate terms to use, so shoppers can find the exact product they need. There is no such thing as a "digital antenna". The writer didn't do her homework very well. Your TV must have a ATSC tuner. Home theater or Display models won't work with an antenna.